Six American educators shared their stories with ABC News. Teachers across America have been walking out of school classrooms to attend rallies in protest for higher salaries and improved classroom resources. Due to a lack of funding, many educators say they must work multiple jobs in order to fulfill their students' needs and make ends meet. Here are the stories of six teachers from all over the United States. She's a second-grade teacher by day. Christi Sennett, 49, has been teaching at Indianola School for 28 years. Everyone in her district is on strike, in addition to the thousands of other teachers who seized the Oklahoma Capitol building Tuesday to demand education funding. The Oklahoma protest came after Republican Gov. Mary Fallin signed legislation March 29 granting teachers annual pay raises averaging $6,100, the largest in state history. Oklahoma teachers had been making an average of $45,276 annually, among the lowest for educators nationwide, according to a 2017 report by the National Education Association. 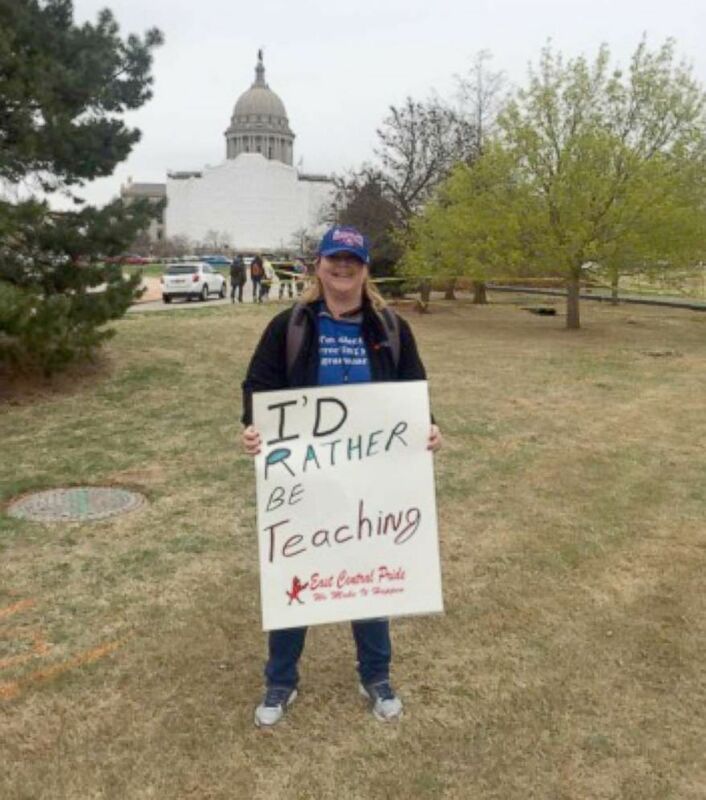 (Christi Sennett) Christi Sennett, 49, a second-grade teacher in Oklahoma, marched at the capitol to fight for salary increases and classroom essentials. Sennett cleans houses part-time and said she has broken chairs in her classroom. The state has been taking and taking and taking from us. Most of the teachers walked out of classrooms across Oklahoma to attend the rally in Oklahoma City. 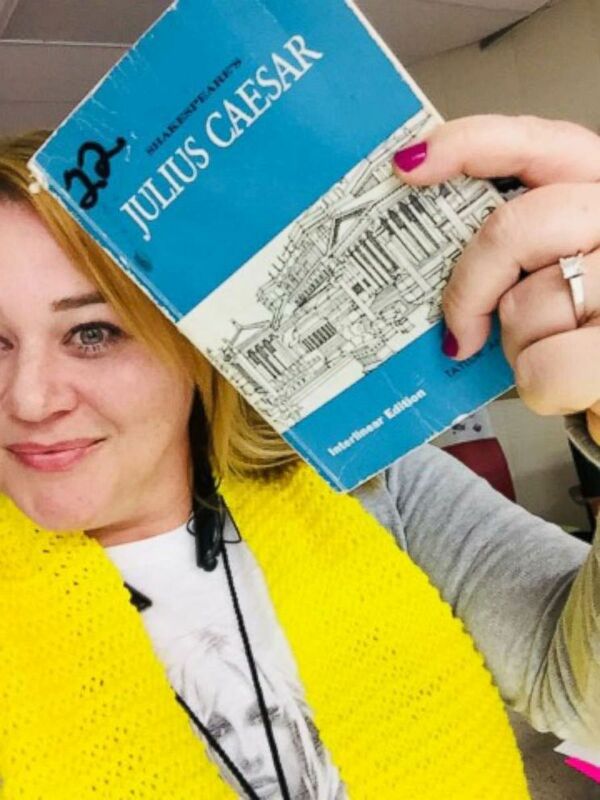 Many said they were frustrated with the lack of resources in their schools, and some said they were teaching students with textbooks dating back to the 1990s. Teachers are also rallying for higher wages, but Sennett is more passionate about putting money back into the schools, she said. "The state has been taking and taking and taking from us, and they haven't been putting it back in," Sennett said. "I have broken chairs in my classroom. The carpet is ripped in my classroom. It does upset me because education, that's the future of our state -- those children." In order to replenish her classroom, Sennett said she has spent "thousands" of her own income to buy supplies. This is the third year she's had to clean houses part-time in addition to her teaching job. "It's hard work," she said. "There's been a time when I worked all day at school and then we had [my son's] basketball game, then I'm cleaning until 10 p.m."
Sennett went on, "I would like to work the other job because I wanted to, not because I feel like I have to. I'm very grateful because it really does mean a lot to get the work that I get." She's a high school English teacher by day. Part-time jobs: waitress, Macy's human resources, a delivery person for Door Dash, a summer school teacher. Sharla Clark, 39, has taught in Tulsa public schools for 15 years. In addition to her teaching job, Clark said she has four part-time jobs. "I could probably make ends meet if I only was a teacher but I would not be able to have anything extra," she explained. "I would not be able to have Wi-Fi in my house, which I need for my daughter who takes online classes. If I come up short on a bill -- or [pay] extra for groceries -- I work these extra jobs so I have extra money." 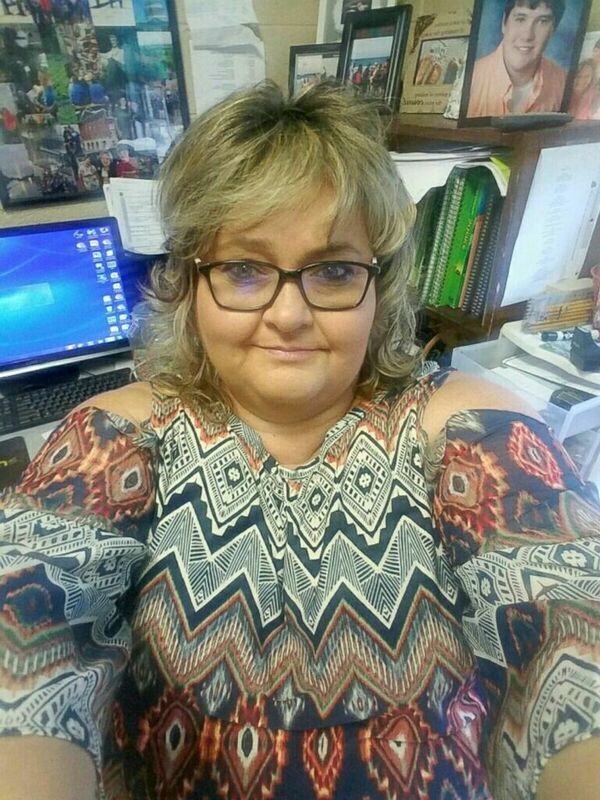 (Sharla Clark) Sharla Clark, 39, is a high school teacher at Tulsa Public Schools who said she works four part-time jobs. Clark went to the capitol on Monday to demonstrate. Additionally, she said she and her colleagues planned to start a 12-15 mile walk on Wednesday to the capitol. Meals will be supplied to them from businesses, and they planned to sleep in sleeping bags on gymnasium floors. "I hope that we draw enough media attention so people open their eyes and see how neglected education has been over these years," she said. "People don't [realize] until they see pictures of the broken chairs, torn up books -- history books that are older than the students." In Oklahoma, the teachers' union had asked for annual raises of $10,000 per teacher, higher pay for support staff and $200 million in education funding over the next three years. "If you look at our yearly raises it's roughly 35 cents an hour, per year raise and if we were to get this $6,100 raise... it would be roughly a $4.16 per hour raise. A $10,000 raise is about $6.80 per hour raise and that's the actual hours worked," said Clark. Despite the need for books in her classroom and a take-home salary of less than $2,500 per month, Clark said she loves being an educator. "It's fun to inspire kids and let them hear these different stories and where they came from," Clark said of teaching literature. "Kids get to see history repeat itself, learn from these experiences and it's a lot of fun." He's a high school teacher by day. Part-time jobs: author, minister, antique and artifacts appraiser, motivational speaker, cleans pools. 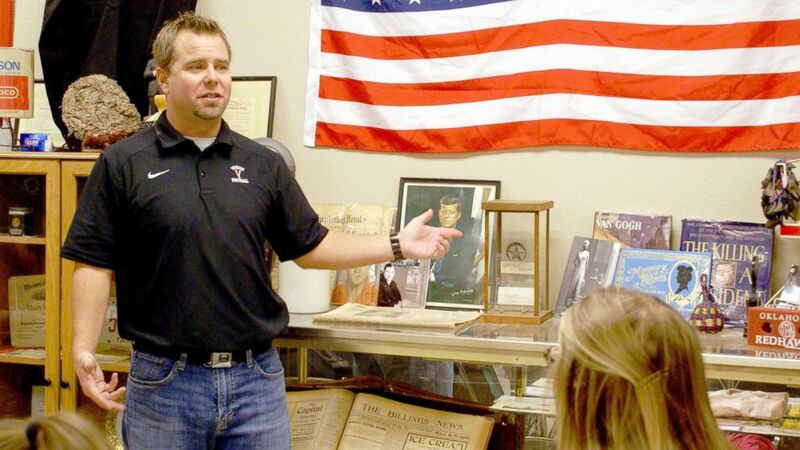 Rob Davis, 39, is employed at Yukon High School and has been teaching secondary education for 16 years. Davis was named Teacher of the Year for Yukon's 2017-2018 school year, and he also became one of 12 finalists for Oklahoma's Teacher of the Year. During demonstrations at the state capitol, Davis met and set up education goals with legislatures. He also said he spoke during Tuesday's rally. (Rob Davis) Rob Davis, 39, is employed at Yukon High School and has been teaching secondary education for 16 years. Davis was named teacher of the year for Yukon's 2017-2018 school year. I am a teacher. That's what I am. "Speaker [Charles] McCall was very good to us," Davis said. "We expressed our concerns, our ideas. As teachers of the year, we are supposed to represent our district, all teachers." Davis said he's very much grateful for the annual pay raise of $6,100 that was granted late last month. His main concern, he said, has been the need for better classroom funding and reinstating activities that were lost due to budget cuts. "The way we look at it, we want that well-rounded individual. We want these kids to have these opportunities and they're not getting them," Davis said. "We're losing these programs and losing these teachers that were so qualified in the fine arts. We have to continue funding these things." 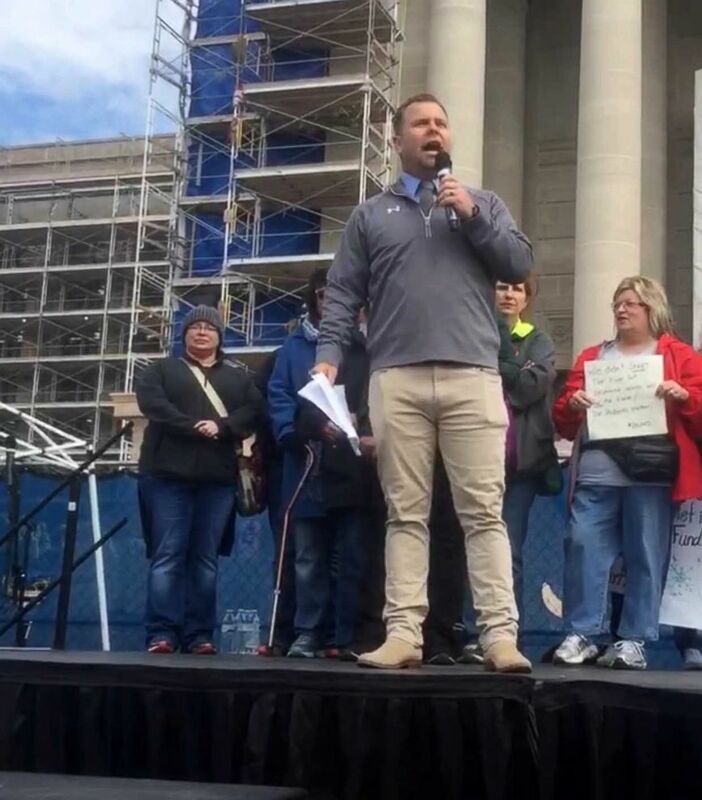 (Rob Davis) High school teacher Rob Davis, 39, seen on April 3 speaking at a teacher's rally at the Oklahoma state capitol. While Davis said the pay increase was a "good start," it's not a guarantee that it will help schools retain high-quality teachers. A lack of classroom resources drives those teachers to states like Texas, he said, which offers more to educators, including a better salary. "At my previous schools, yes, I bought a lot of things," he said. "The markers, the papers -- that kind of comes with the territory... you know that going into it. You know you're going to buy school supplies, lunches for kids I've bought. My wife and I will go grocery shopping because I know that if I don't do that, those kids won't eat over the weekend." Davis said he has a master's degree in education administration and he's qualified to become a principal. But his passion lies in teaching, he explained. "Maybe I can be home more and get that pay raise and not work these extra jobs, but I am a teacher," he said. "That's what I am. I've had phone calls and offers already. But I am a teacher, and I've turned them all down." She's a Head Start teacher by day. 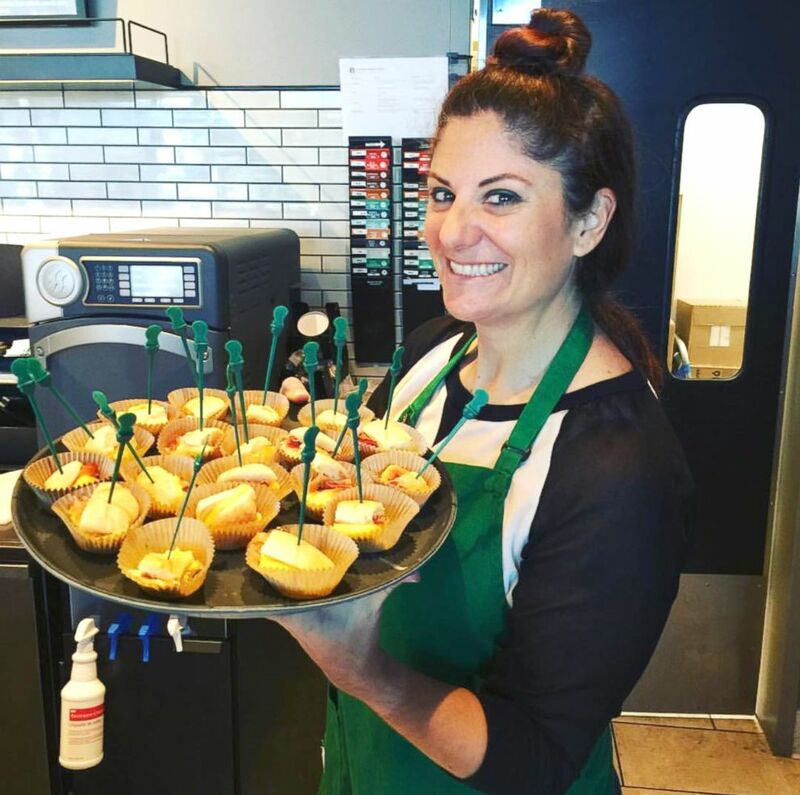 Part-time jobs: Starbucks barista, group fitness instructor, runs a home-based, online wine service. Lisa Kling, 46, works in the Washington Elementary School District. She's been teaching for 21 years and currently educates low income-based pre-kindergarten. In addition, Kling said she works four other jobs on the side. "Between student loans and rent and a car and just having a daughter [my teacher salary] doesn't cut it," Kling said. "My teacher salary is about $45,000 per year and then with my additional income, it brought it up to about $55,000, but after taxes and everything, each paycheck [totals] about $2,400 per month." Thousands of teachers in Arizona have been marching at the state capitol to demand a 20 percent pay increase and better education funding. Many are also wearing red and using the hashtag #RedforEd in solidarity with their colleagues across the country who are supporting the change in public education. Kling said her work schedule hasn't allowed her time to march, but she's been wearing red and getting the word out on social media. (Lisa Kling) Lisa Kling, 46, is a Head Start teacher in Pheonix, Arizona, who said she also works four part-time jobs. "I think [my colleagues] are hoping the end result is a raise for teachers, more respect for the profession and more respect for our kids," Kling said. "Arizona is very low for state funding for people and very high for state funding for inmates. There are huge discrepancies. Ultimately, our kids suffer and our future suffers." Kling said that in the past, she has crowdfunded online and dipped into her own pocket to fulfill the needs of her students. "Our kids come from very impoverished backgrounds," she explained. "They may not have food or clothing and another one of my jobs is to make sure they have that. If a child's basic needs are not met, they cannot learn." She said she's wanted to be a teacher her entire life. Despite her financial hardships, she said she also struggles with the idea of leaving the profession. "Ever since I had Miss Johnson in kindergarten [I've wanted to teach], I'll never forget," she said. "I don't know how much longer I can stick around... emotionally, it's hard." She's an eighth-grade language arts teacher by day. Part-time job: started a blog to help sell her classroom materials online. Kelsey Coots, 29, has been teaching at Marion C. Moore School for six years in Kentucky. Coots said she started her own blog in order to promote the sale of her classroom materials on the website, Teachers Pay Teachers. In the past, she said she has used her extra income to replenish her classroom supplies. 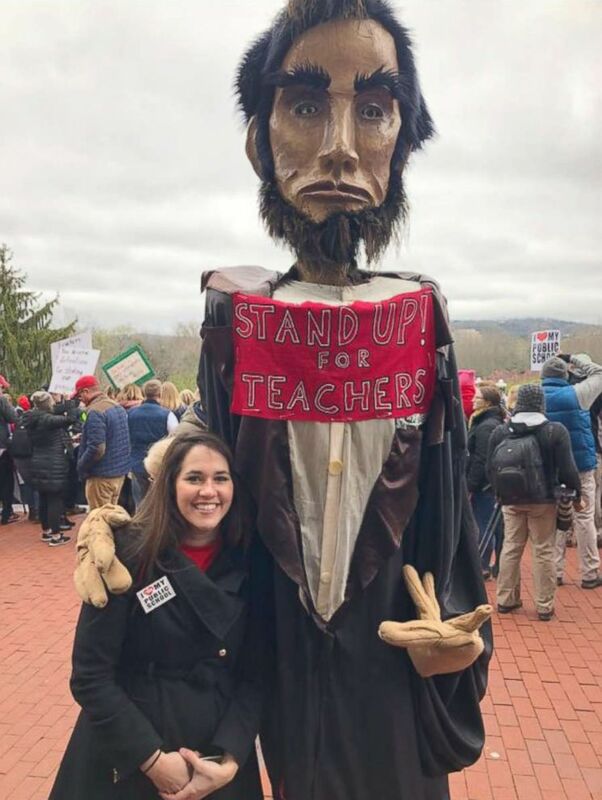 (Kelsey Coots) Kelsey Coots, 29, is an eighth-grade teacher in Kentucky. She started a blog to help sell her classroom materials. "[I do it] for the kids," Coots said. "I have dedicated my life to fighting back against education inequity which is one reason why I rallied. All of these things that are attacking our public education I see as a threat to education equity across our state." On March 30, thousands of teachers in the state staged a sickout. As a result, 29 school districts were forced to cancel classes because they couldn't find enough substitute teachers. 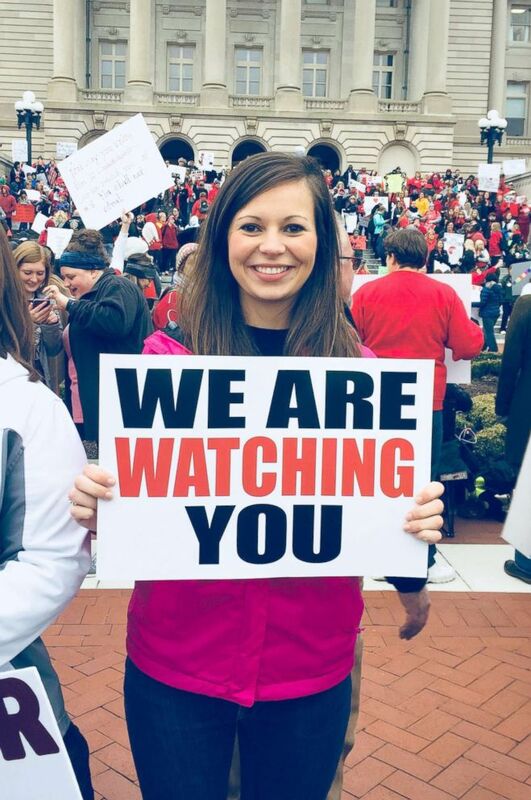 On Monday, thousands of teachers and supporters descended on the Kentucky Capitol in Frankfort to demand Gov. Matt Bevin veto a recently signed bill that overhauls their pension plan, which they said was forged by lawmakers in secret backroom deals. 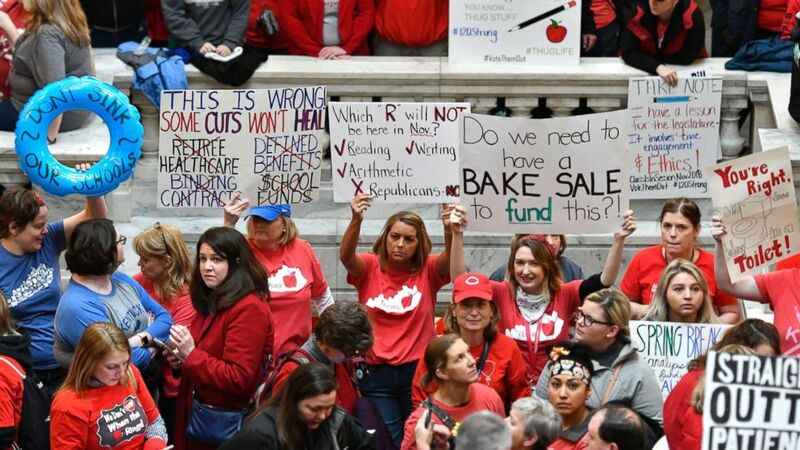 The teachers' union asked Bevin to reject the bill, which creates a "hybrid" plan for new teachers and will no longer allow experienced teachers to tack on accrued sick leave pay to their years of service when calculating retirement benefits. The Republican-dominated legislature says the pension reform bill was crafted to help the state cover a $41 billion shortfall in pension costs over the next 30 years. But the teachers' union officials said the pension overhaul would only generate $300 million in savings over the next three decades. Coots said she demonstrated at Monday's rally. "If we cannot secure retirement benefits, how are we ever going to recruit and retain the best educators in the state?" Coots said. She went on to say, "[The bill] it's already passed, so my focus is to make sure that people are engaged in campaigns. There are some [elected officials] that we can sway with our stories, but some cannot be swayed. The only way to rectify that in my mind is to vote them out and you can hear those chants reverberating throughout the capitol [on Monday]." She's a high school social studies teacher by day. Part-time jobs: dance instructor, babysitter, dog sitter, AdvoCare fitness representative. Andi Rector, 25, is in her second year teaching both ninth- and 10th-grade social studies at Nicholas County High School. Rector said she's currently pursuing a second master's degree in hopes to increase her annual salary, which is just over $38,000. But she did not become a teacher for the money, she said. "I honestly do it for the kids," Rector said. "I coach the middle school academic team, I'm an FBLA advisor... I also run the student council. The only reason why I do it is because I want my kids to have those experiences. In social studies, I get to teach them the world around them and what's beyond our small, little community. I want them to be the best citizens that they can be and, hopefully, I impact at least one along the way." (Andi Rector) Andi Rector, 25, is a high school social studies teacher in Kentucky who said she works multiple jobs. If I walk out, that will hurt the kids. 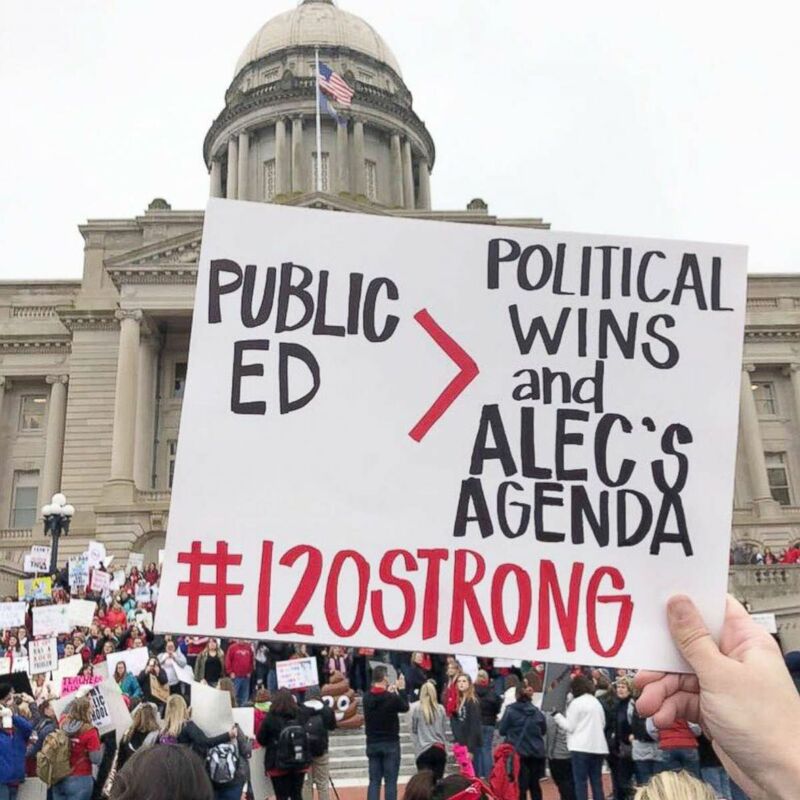 Rector said she participated in the sickout and the protest at the Kentucky state capitol Monday after the bill was signed to overhaul teachers' pension plans. "The pension bill, we've accepted and it's probably going to go into law," Rector said. "We can't take any more cuts, and more cuts would mean the suffering of school districts and the community because of the loss of the tax dollars." Rector said she doesn't have the proper resources to educate her students. She uses the same textbooks to teach her students that were available to her 10 years ago when she attended the high school. She added that she's had to resort to using an out-of-date map in her lesson plans. "My biggest concern right now is do I cut my losses and start a new career path?" Rector said. "If I walk out, that will hurt the kids... I do not want that." ABC News' Bill Hutchinson, Brendan Rand and Clayton Sandell contributed to this report.